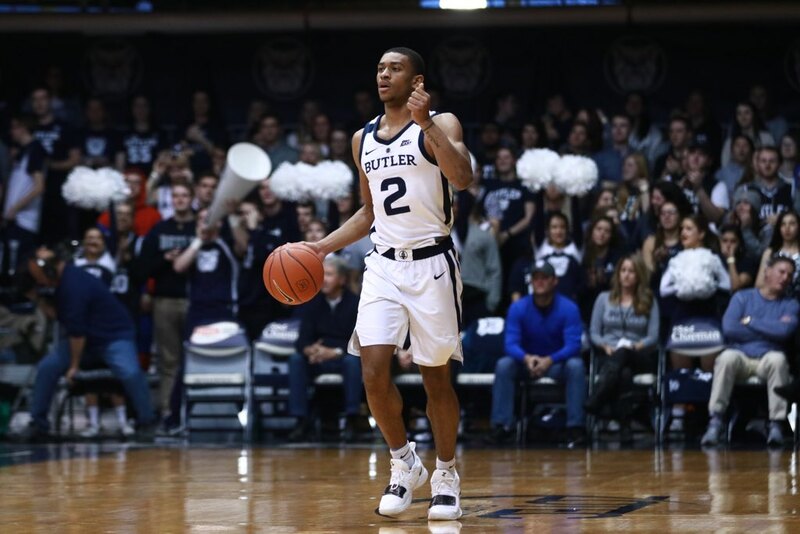 Aaron Thompson conducts the Butler offense in the Bulldogs’ 80-71 win over St. John’s. Photo by Jimmy Lafakis. After a 1-3 start to Big East play, the Butler men’s basketball team was looking to get a winning streak going. A talented St. John’s squad stood in their path. A good boy knows an enemy from a friend. As this was the first home game since students returned from break, there was extra emotion in this game. Players and coaches, alike, fed off of it in the early going. And when there are plays like this, fans will get on their feet. Even had our own Jimmy Lafakis in awe. And while Jordan Tucker had the best game of his career against DePaul, it was evident early that he had more where that came from. Proving doubters wrong in the process. Remember when people were debating Jordan Tucker playing meaningful minutes? While this was a breakout game for Tucker, the undisputed best player on this team, who had quietly dropped a season-high 30 points to go along with nine rebounds. Man, Kamar Baldwin's fun to watch. Just so good at keeping this Butler team steady. And with this newly-formed dynamic duo, the Bulldogs are a much scarier team. After some offensive struggles in the last few games, it was good to see that the snow outside didn’t keep the Dawgs cold inside. And a nice statement win on network television, no less. Great recruiting tool for Coach Jordan. But for as far as this season goes, Bulldogs fans can breathe, but not for long. Defending champion Villanova strolls into town on Tuesday at 7 on FS1.